BGA-100 (0.4 mm ball pitch, 10 x 10 pin array) to PGA-100 (0.1" pin pitch) adapter. ENIG finish. 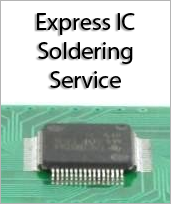 High temperature FR4 for leaded or lead-free reflow. 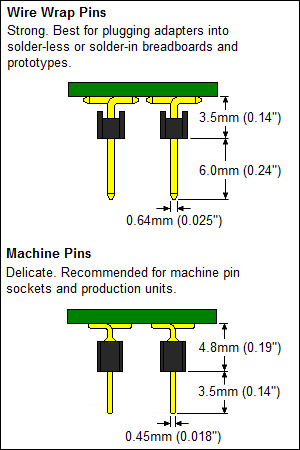 Four corner mounting holes are 3.25 mm in diameter and accept 4-40 screws and stand-offs. Top side of board fits surface mount footprint. Through hole pin grid array is split into two halves and fully silkscreen labeled on top and bottom using standard ball grid array numbering format. 1.0 mm diameter PGA holes accept round machine pins or square wire wrap pins.